BRYAN EATON/Staff photo. 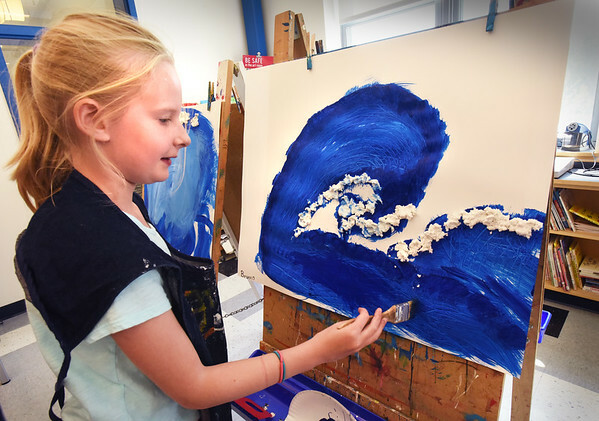 With the Beach Boys' "Catch a Wave" playing in the background, Brynn Ponting, 9, paints one in the style of 18th-century Japanese artist Hokusai in Pam Jamison's art class at the Bresnahan School on Tuesday. The sub-theme of the artwork the teacher joked, "we'll be waving goodbye" as summer break starts next week.